When football season comes around, it is an exciting time in our house! WE LOVE football (even though we cheer for two different teams!). Now that the football season is winding down, the Big Games are happening and we LOVE to have friends over to watch and cheer on our favorite teams! 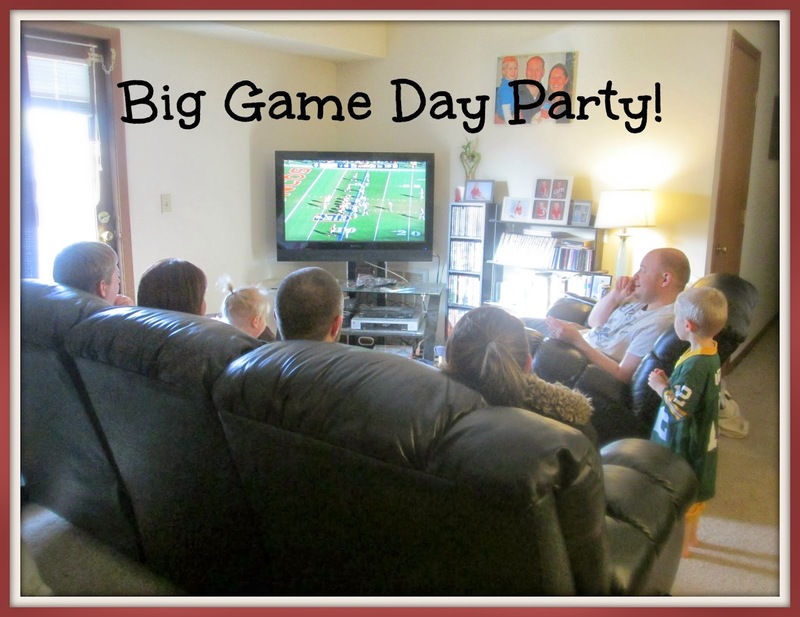 Most people would think that these football games are only enjoyed by guys....but let me tell you, I definitely LOVE watching these Big Games too and I don't like to have to slave away in the kitchen during the game but I really want to be a good hostess too. 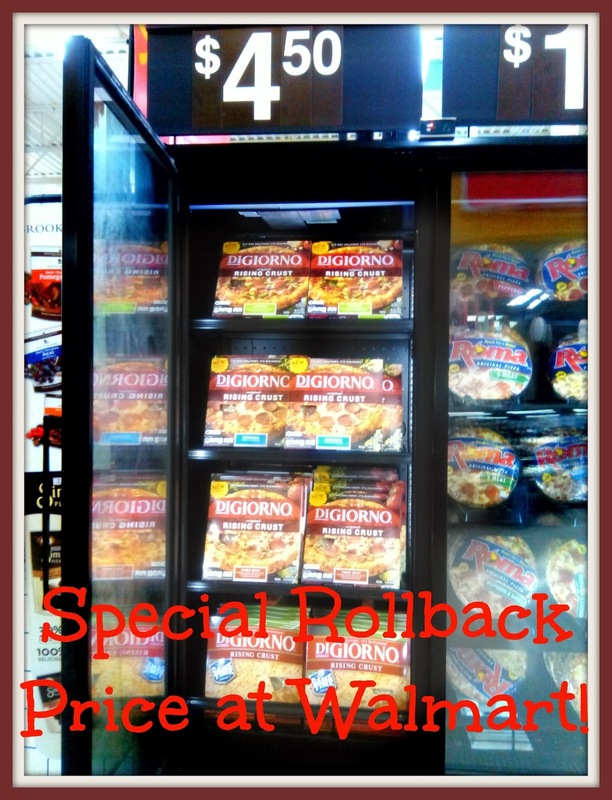 It is something I struggle with on football game days...until I was shopping at Walmart the day before our football party and saw that DiGiorno Rising Crust pizzas were on sale at my local Walmart for only $4.50! 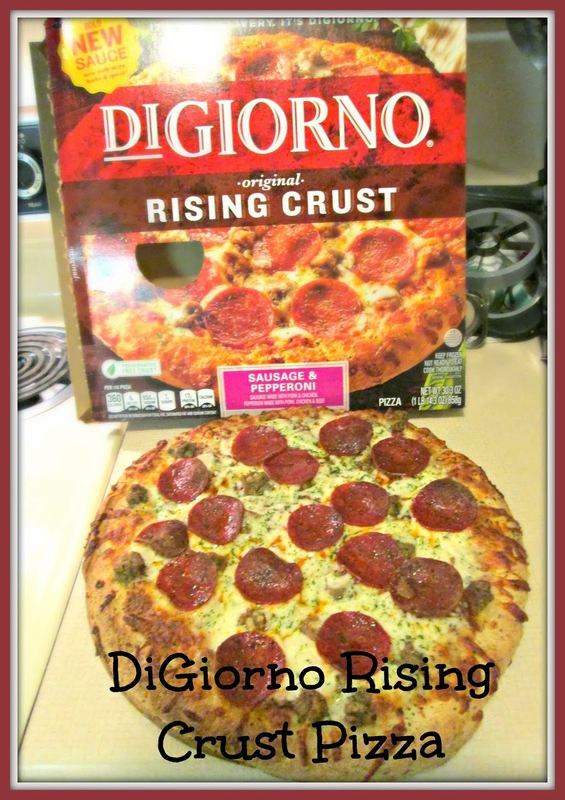 I knew immediately these would be perfect for keeping our guests happy and full throughout the game so I picked up a couple of these tasty looking DiGiorno Rising Crust Pizzas for the Big Game Day party that we hosted this Sunday! It would make a great snack or even dinner for our guests and I don't have to slave away in the kitchen the entire game! And sure enough...my bright idea paid off! 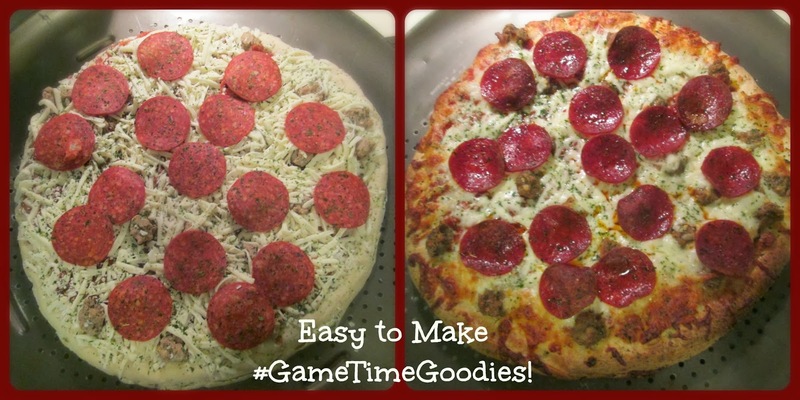 As soon as our guests heard we were having DiGiorno pizzas, they were already excited! I personally love the Rising Crust on these pizzas and how easy it was to unwrap from the plastic, stick on a pizza pan and stick in the oven! Twenty minutes later it was done to perfection and looked better than most pizzas I get from delivery pizza services! And best of all, I didn't miss a minute of the game because I could do all the little work it required during commercials! 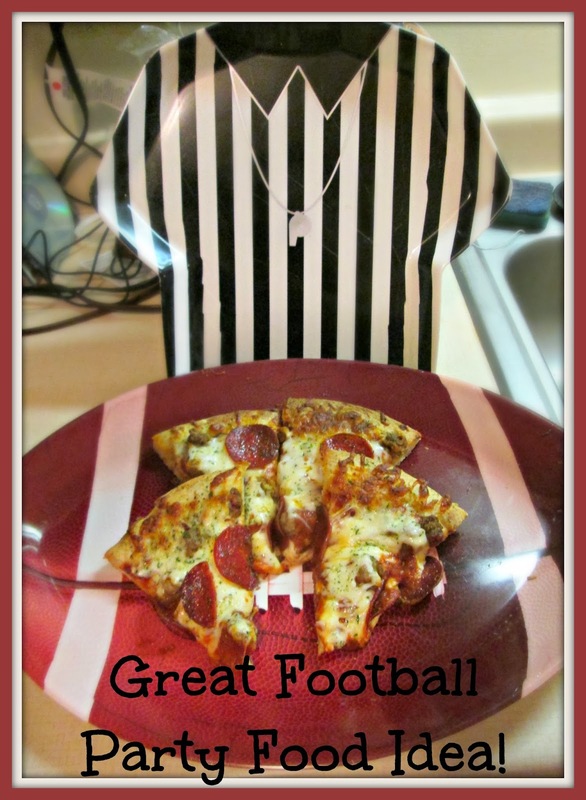 I put the tasty pizza pieces out on our fun football plates and they were gobbled up in no time by our football party guests! They exclaimed how great the sauce tasted and how fluffy the Rising Crust was! I almost felt like I was from one of those DiGiorno commercials where all the guests think "it is delivery! ".